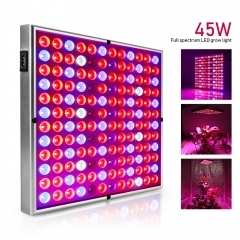 The 1200W LED grow lights with unique 360-degree lighting, can light more plants, and 2460LEDs more super bright. 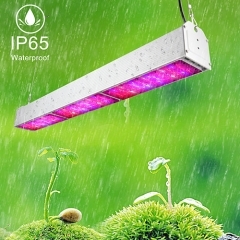 The full spectrum led grow light which provides plants Veg and Flower all stages with everything they desire in the natural sunlight. 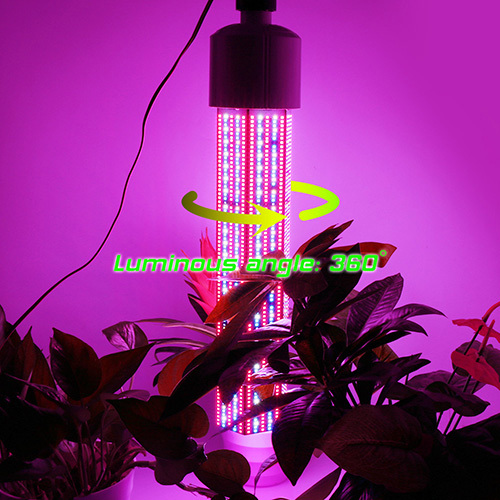 Different from other full spectrum grow lights, we added more red light to ensure the yield will be increased up to 30%-50%. 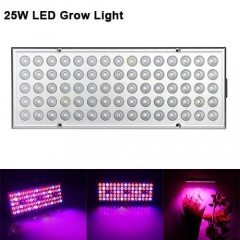 The led grow lamps include a power supply with driver box and a plug, no other parts needed. 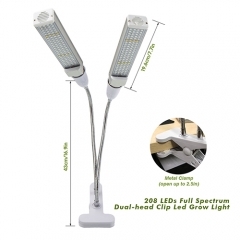 Power cord length 59.1 inches, easy to hang to anywhere you want. 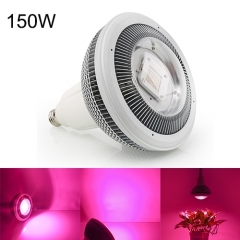 We are a professional LED light manufacturer with strong R&D team and many light testers. 1 years warranty plus 30 days money back guarantee. If you have any problems, please feel free to contact us. 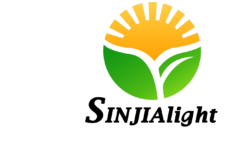 We will provide you with complete customer satisfaction. 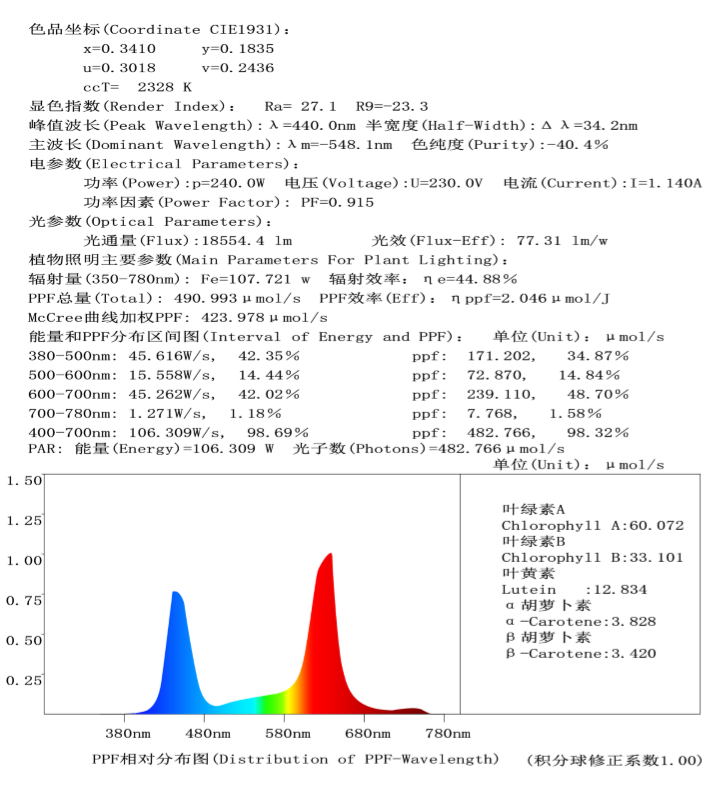 The IR (Infra Red) diodes looks dim, this is normal. 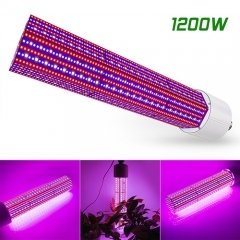 1.Q: How much growing space does the 1200W cover? 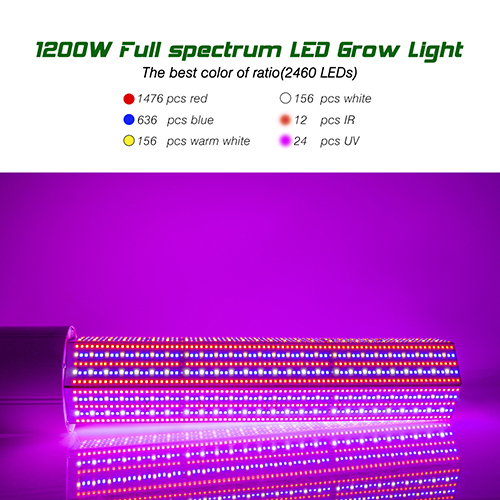 A: The 1200W led grow light is equivalent to an 800HPS according to the chart. 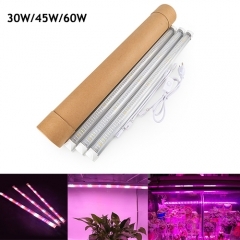 I have mine in a grow tent that is 3x3 foot and it works well so far. 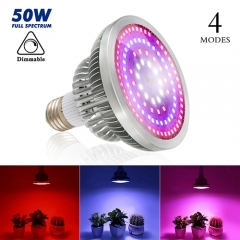 2.Q: Would this light be suitable for a 6' x 3' area? 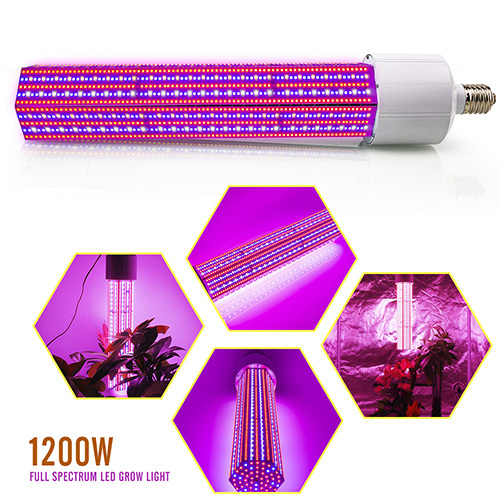 3.Q: I need to know if this can be plugged into a 120-volt outlet, heat build-up, PAR rating, grow spectrums, and if this can support 4x4 grow space? A: I can answer some of the questions. 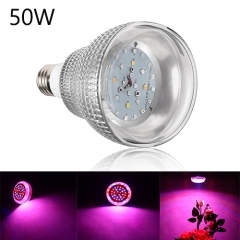 I have this light and just finished a clone and a 16 cola which I shrugged. It’s is standard US house current. So yes on the 120. 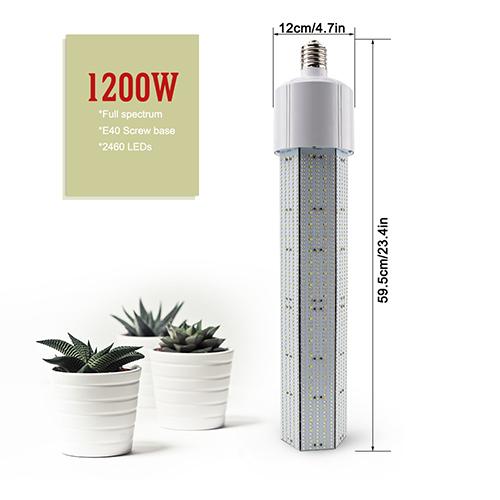 4.Q: Are these 240-watt lights with the equivalent of 1200w of incandescent? It's physically impossible to produce more energy than being used!